Here in the Northeast, the remnants of winter storm Nemo are finally melting. In many parts of the country, snow usually happens every year. It’s just a part of winter, so we expect it and prepare for it. 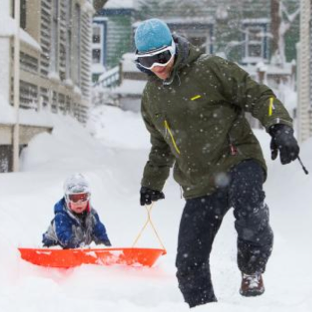 Many people even have checklists to prepare themselves every winter for the oncoming blizzards. We make sure we have snow shovels, working snowblowers, enough salt for the walkways and driveways, snow tires on our cars, emergency kits in the trunk, etc. Similarly at law firms, whether you are a litigator or a corporate attorney, when you file a lawsuit, obtain a litigation win or close a deal, you go through a finalization process and follow a checklist to make sure key steps are taken and appropriate documents are signed and filed. An important item that should be on every attorney’s checklist is to notify the marketing team as early as you can and get them involved in any potential media outreach on your behalf. The day after you obtain a litigation win or close a deal is often too late. Bring your marketing team in early to come up with an effective strategy. The marketing team can help you think about your deal closing or litigation suit from a marketing perspective, which is very different from a legal advisory angle, and help you decide how to leverage your good news for positive press coverage and business development. What are your business objectives for publicizing this matter? How do you want to how to present this news to your target audience? What is the impact of this news on your target audience – why should they care? Next time you are running down your checklist of tasks to follow in anticipation of closing a litigation or corporate matter, make sure marketing is on that list. Everyone will win!